South of the old town lies 2 km of coastline where beaches, coves and cafés are located. 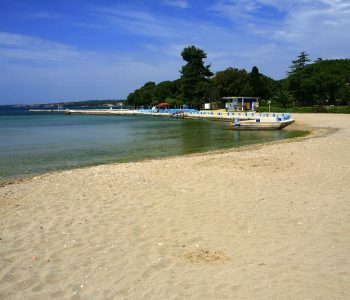 The most famous beach of Kolovare is adapted to all ages. 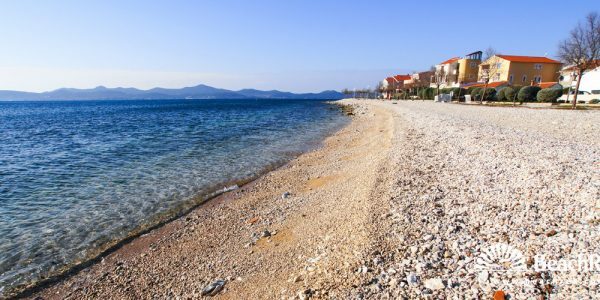 The beach is pebble with sandy beaches, and is rich in Mediterranean vegetation, whose shade is an ideal hideaway from the strong sunshine. 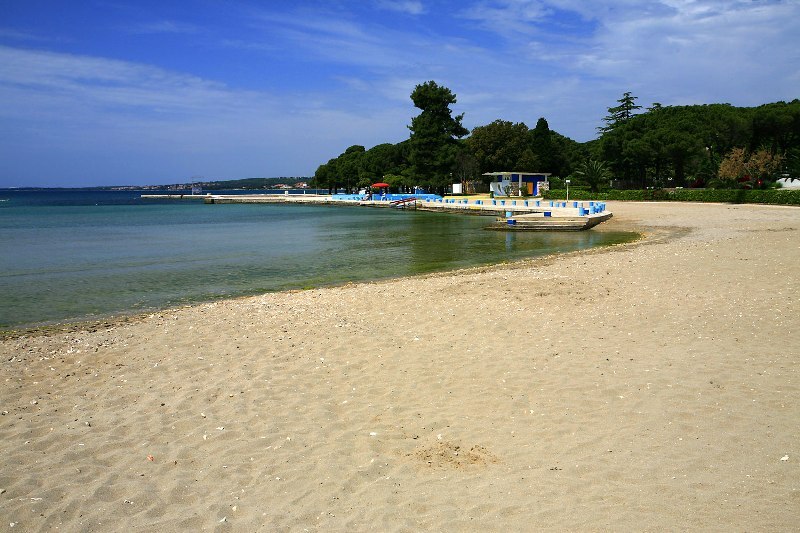 On Borik there are sandy and pebble beaches with pine trees inside the fenced complex. Visitors can enjoy sun loungers, hire water sports equipment, a volleyball court, tennis courts and beach bars. 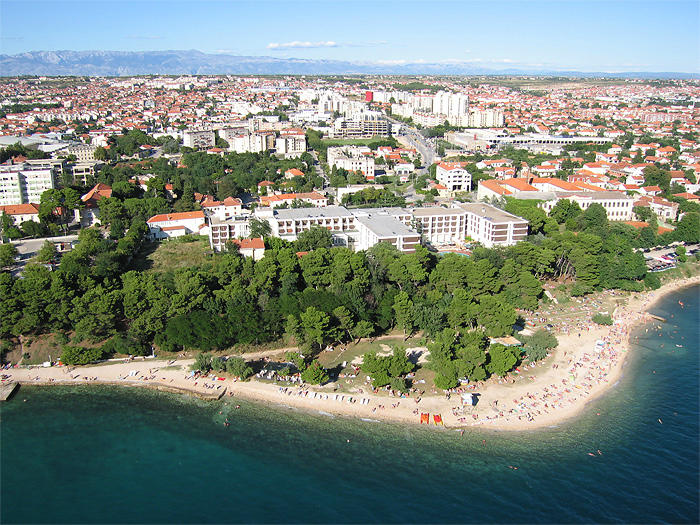 Diklo is the suburb of Zadar, and it stretches along the bays that are partly pebbled and partly concreted. 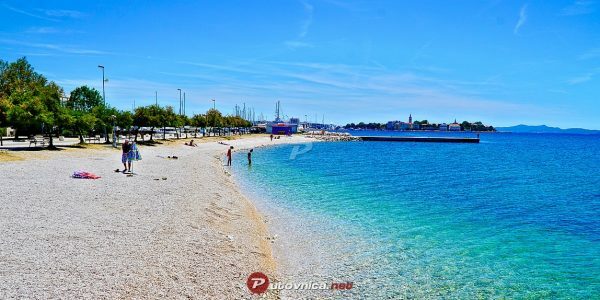 Nice and clean sea make it one of the most popular gatherings in the city. The beach is part of the “Uskok” marina. A beautifully decorated beach is a favorite place for local swimmers. On the beach there is a playground for children and a cafe and parking. There is a small pebble beach near Puntamica near the lighthouse. On the beach there is a famous beach bar and a volleyball court. There are several famous restaurants nearby. The city center is located on a peninsula, within medieval city walls. Although small in size, the city has a great historical heritage as witnessed by a large number of sacral buildings, historical monuments as well as contemporary tourist attractions. 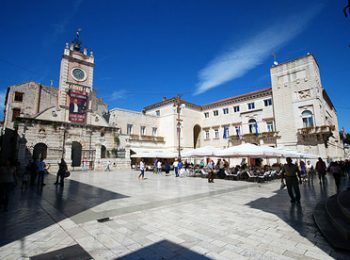 The 2000 year old Roman Square still carries out its function of the city square. 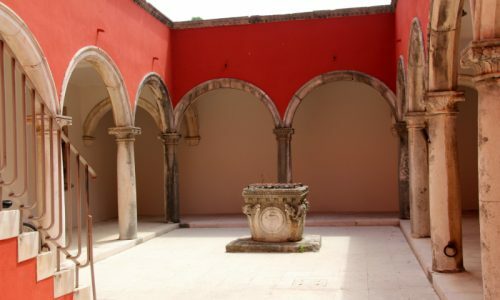 The square was remodeled more recently when exposed remains of Roman basilicas, temples and taverns that were in this area. Today, there is a historical church complex on the square, consisting of the Romanesque cathedral of St. The bishop’s bastion and the belfry with its top offer beautiful views of the city. 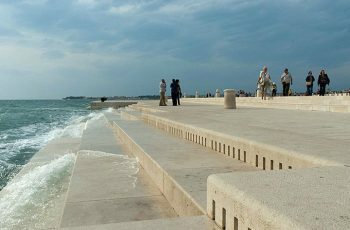 The seaside promenade along the seaside stretches almost to the whole side of the peninsula from where the views of the Zadar archipelago are made. 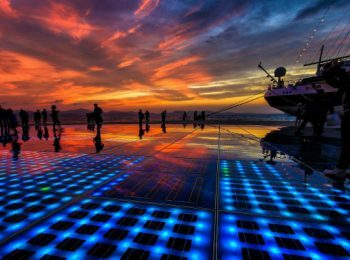 From the Riva you can also observe the famous Zadar sunset that American director Alfred Hitchcock called “the most beautiful in the world” on his visit to Zadar. 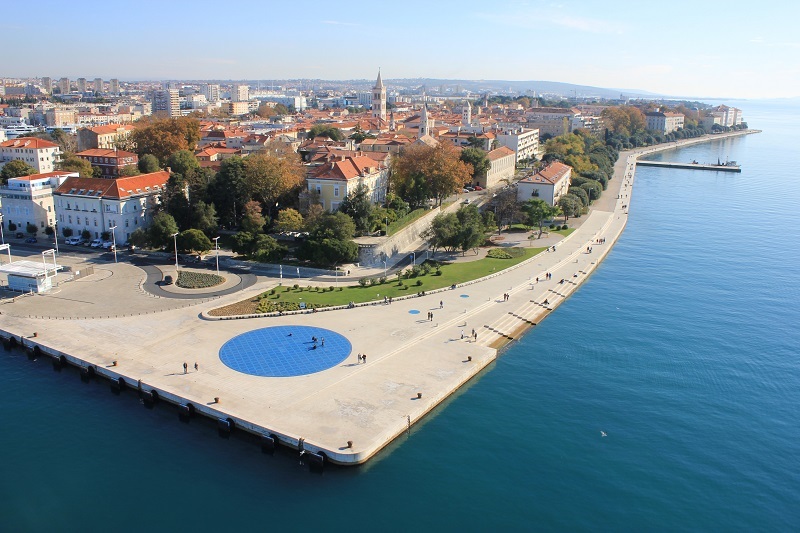 There are two of the most famous attractions in the city, Hello Sun and Sea Organ. 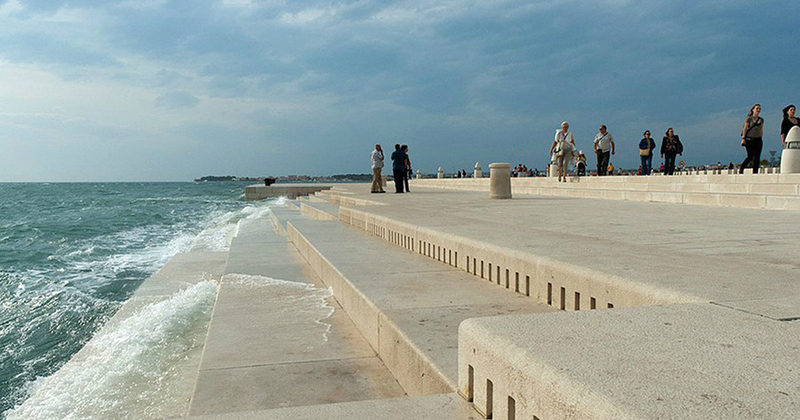 The sea organ is located next to Greetings to the sun, which is a sound installation built in 2005. The organs look like cascading stairs that hide the inside of 35 tubes of different lengths. 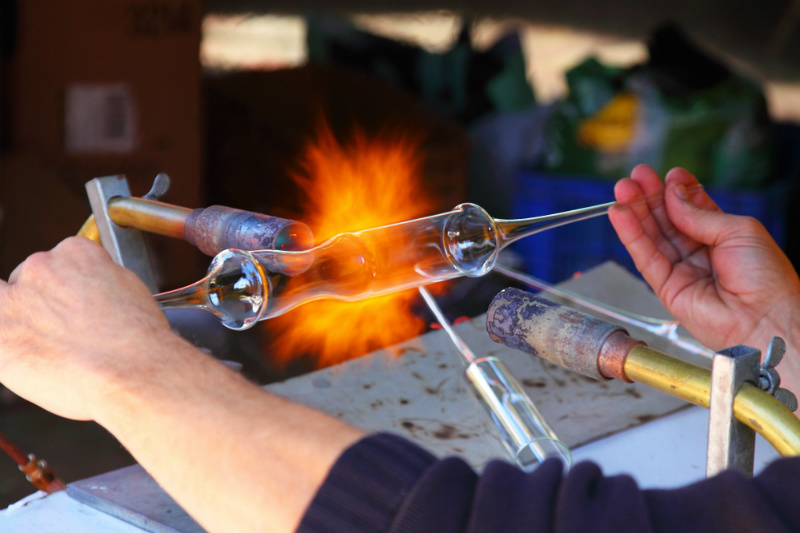 The tube enters the air suppressed by different sea movements and produces different sounds. Church of St. 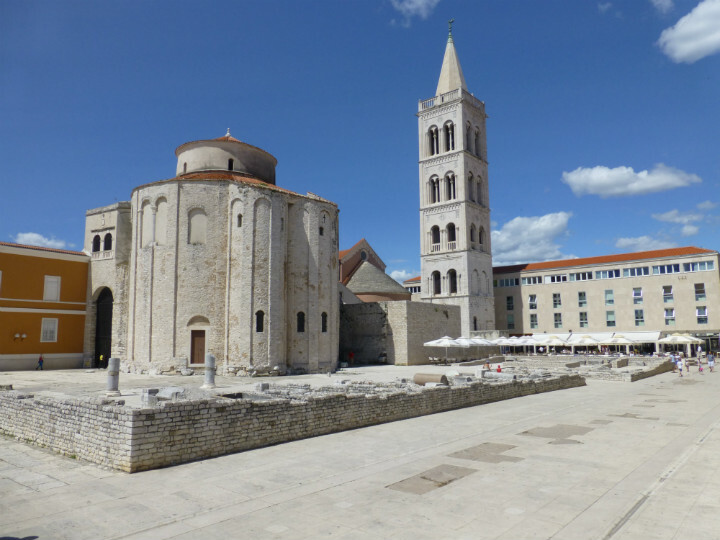 Donate is a symbol of the city of Zadar, and is located at the Forum with the cathedral of St. Anastasia. The church was built in the 9th century, and its specific circular shape makes it one of the most beautiful churches of that time. It has great acoustic qualities and is often used for concerts. 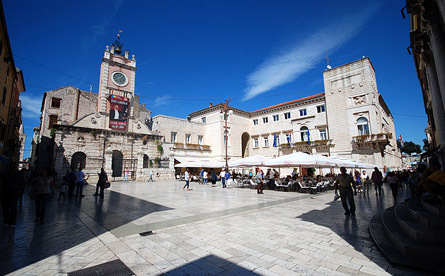 The city’s main square is a town of celebrations, fairs and protests since the Middle Ages. 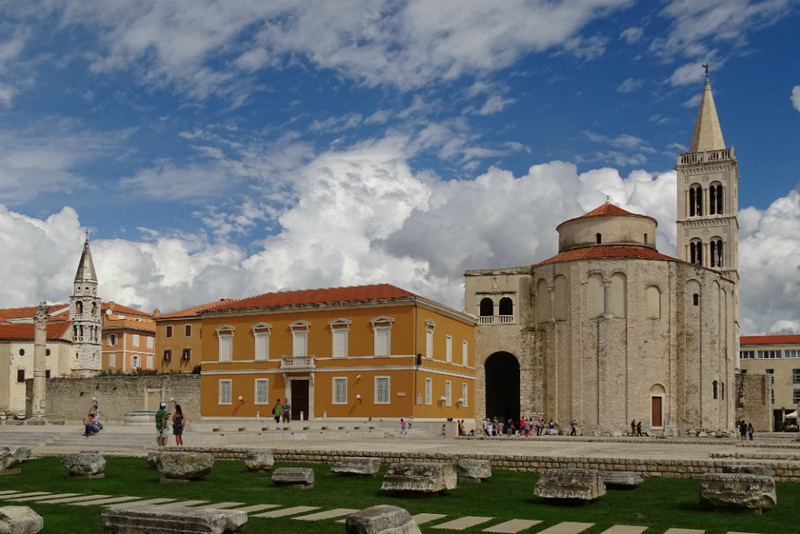 In the square there are the Town Guard and the Town Lodge, both built in the 16th century, and today are part of the Zadar National Museum. 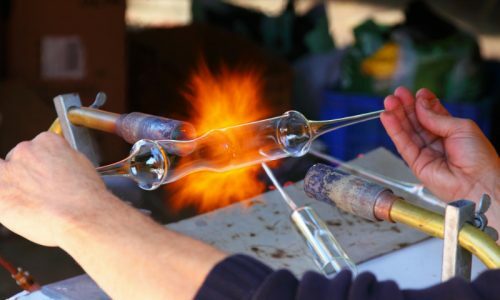 In the square there is also the town hall and the church of St. 11th century crafts. Hello sun is a round installation consisting of photovoltaic solar modules that absorb solar energy during the day and then transforms it into electrical. 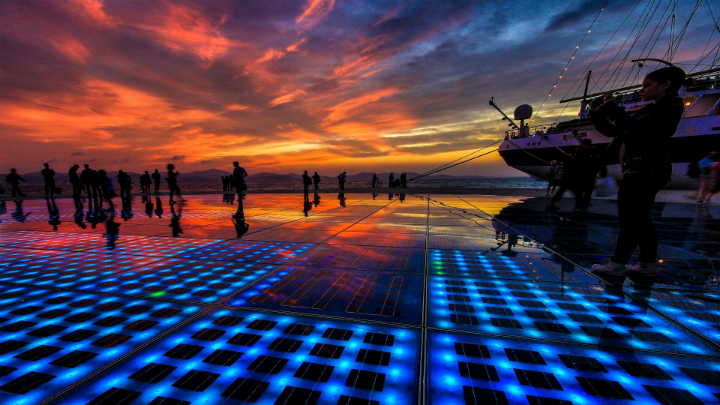 With that electric power, the panels begin to light and change colors when the dark falls. 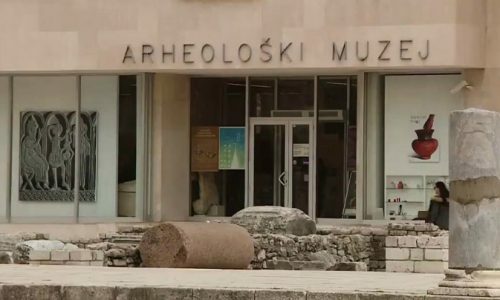 Founded in 1832 as the second oldest museum in Croatia and one of the oldest in this part of Europe. 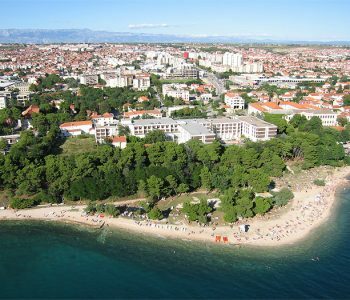 As a state museum, it covers the area of ​​the Zadar County with the islands of Rab and Pag. 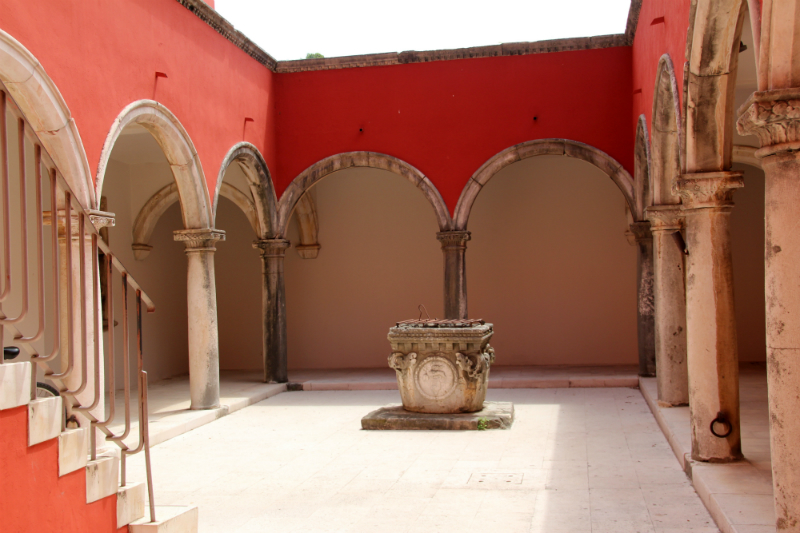 Within the National Museum of Zadar there are several departments: Art Gallery, Zadar City Museum, Natural History Department and Ethnology Department at the Town Hall.